Martin Davy has recently joined Manifold as VP of Engineering. Martin understands at a deep level what it means to embark on AI projects at enterprise scale, and has a wealth of experience in managing software platforms for multi-national companies in verticals from financial services to publishing. In particular, as Global Head of Trading Engineering for Fidelity Investments, Martin modernized engineering practices using agile techniques and delivered four new trade order management platforms for the Equity, Fixed Income, High Income, and Money Market businesses. Responsible for all trading engineering activities across five locations in the US, India, and Ireland, he has a wealth of experience in encouraging innovation, empowering teams, reducing bureaucracy, and removing road blocks in a variety of settings. Most recently, Martin served as Executive Vice President & Chief Platform Architect at Houghton Mifflin Harcourt, where he was responsible for all aspects of their global Software Engineering division, reporting directly to the CEO. There, he worked to engage in accelerating business roadmaps using data engineering and experienced navigating the demands and trade-offs that many of our clients face as well. He has first-hand knowledge of and perspective on the challenges of global enterprise executives who seek to apply AI to their business challenges. Martin's deep enterprise engineering experience also includes a stint as VP Worldwide Product Engineering at Pegasystems, where he was responsible for engineering and product management of the Pega7 Core Platform. He also headed up cross-cutting concerns including Agile, Quality, Dev/Ops, Cloud Provisioning and Machine Learning for five product divisions and 90 teams located in the US, India, Poland, and The Netherlands. 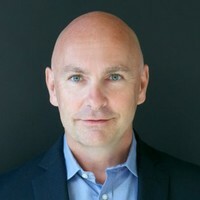 Prior to that, he was Senior Vice President at Linedata, where he oversaw all software development for North America, and was responsible for multiple award-winning product lines, including LongView Trading, Linedata EMS, Linedata Compliance, Linedata Reporting, Linedata MFact, and Linedata MShare. Martin earned his Master of Science degree in Computer Science from the University of Kent, and his Bachelor of Science degree in Maths and Education from Canterbury Christ Church University.